In the opening chapter of the novel, whom does Libby wait to meet in the woods? What does this character ask of her? What do they say about Libby’s sister Josephine? Does Libby believe them? Why does Josephine decide to accompany her sister Libby in joining the Confederate army? Do the two sisters share the same views about the war or do their opinions about the war vary? Why do you think this is so? What seems to have shaped the views of each of the women? Discuss. What does Josephine indicate that she resents about Arden the most? What does she believe Arden took away from her sister? Do you agree with her? Why or why not? How did Arden feel about Josephine? What may have caused Arden to resent Josephine? Evaluate the use of Les Misérables in the novel. How do the soldiers respond to the story of Les Misérables? Why do you think this is? What might this suggest about storytelling and literature? Analyze the book’s treatment of war. Does the book focus more on the reasons for the war or the effects of war? Where do we see this in the novel? Why do you think the authors may have made this choice? Why does Libby decide that she must avenge her husband’s death? Is she successful in her mission? Does she seem to achieve any catharsis or healing via this plan? What other examples of vengeful acts are found in the novel and what do the characters feel they are avenging? What does the novel ultimately suggest about the notion of revenge? How does Josephine respond to the Yankee buried at their family’s residence? What does she learn about her father’s treatment of this soldier? How does Eleanor react when she discovers Wesley and Josephine on her property? How does she feel about the Confederacy? Are her views surprising? Why or why not? How does Libby’s relationship with Arden compare to Josephine’s relationship with Wesley? What do the two relationships seem to have in common? How are the women changed by love? Are the changes mostly positive? Explain. Evaluate the theme of sisterhood/brotherhood and sorority/fraternity. How are these terms defined within the novel? What unites “sisters” and “brothers” and causes them to feel loyalty to or affinity for one another? Alternatively, what causes division among people in the book? What might this suggest about the war? Explore the motif of nostalgia. What examples of nostalgia are found in the book? Who experiences it, what do they seem to be nostalgic for, and what causes them to be nostalgic? What insight does this give us into the characters? For example, how does the motif of nostalgia help to reveal what the characters value most? Evaluate the setting of the book. Why do you think that the authors chose to include so many descriptions of the beauty of nature in the novel? How does the contrast created by these scenes contribute to a dialogue about war and human nature? Which of the characters support the war and which oppose it? How are those who are against the war treated? Are they allowed to protest or to voice their opinions? Who is perceived as a traitor by other characters in the novel and why? Who considers themself to be a traitor, and who or what do they believe they are betraying? Evaluate the theme of honor. Which of the characters act honorably? What motivates them to act in this way? Does the novel ultimately indicate what is honorable or how honor should be defined or redefined? As the story nears its conclusion, why does Josephine believe she “had been put on this earth” (228)?How does this belief shape or determine the important decision she makes shortly thereafter? Do you believe that she made a good choice or the right choice? Why or why not? How does Josephine’s view of Arden change by the story’s end and what causes her perspective to change? What does her view seem to suggest about human nature? 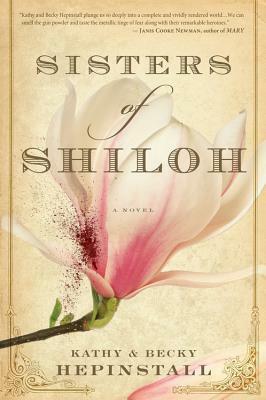 Compare Sisters of Shiloh to other contemporary works of civil war literature. What does this novel have in common with these other works? What themes seem to recur among the works? Whose point of view are the stories told from? What would you say sets the Hepinstall sisters’ novel apart from these other works?